If you’ve got a shark fan on your hands, you need this deluxe gift set! 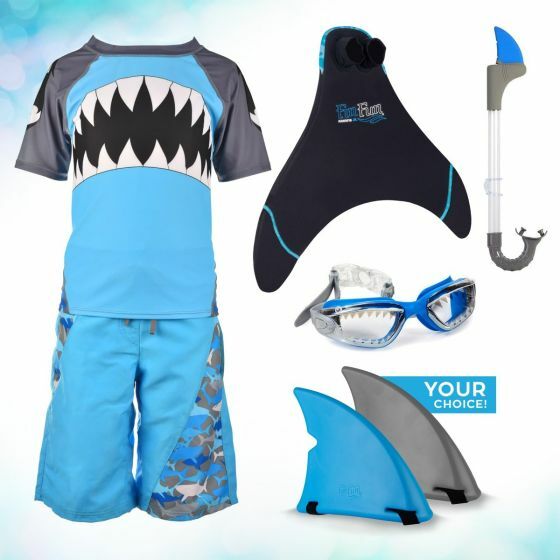 It includes everything kids need for a full day of swimming with a shark swimsuit set and fun swim accessories! 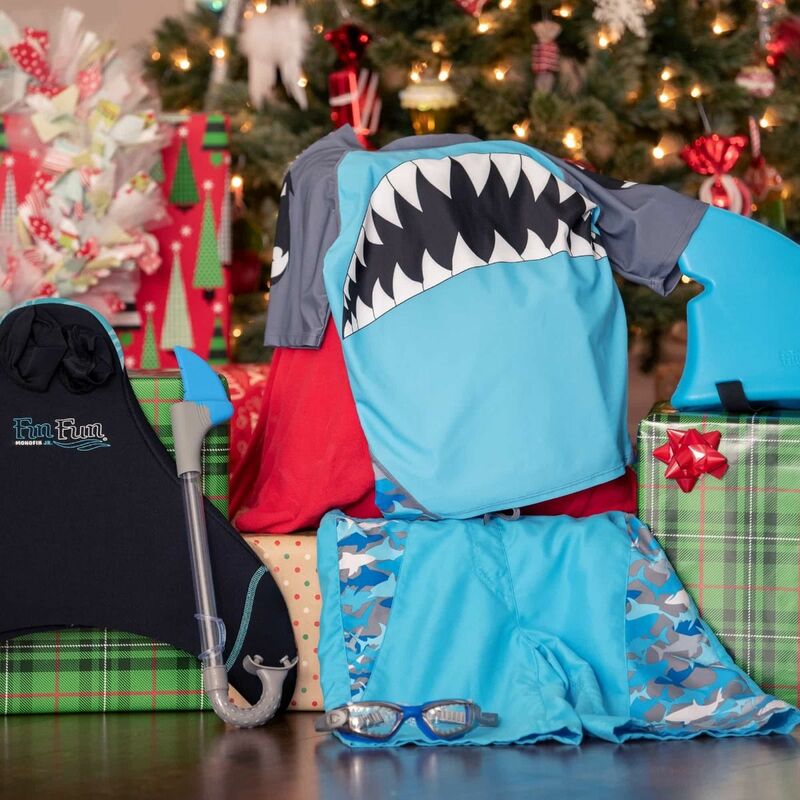 When you’re a shark fanatic, you need Fin Fun’s deluxe shark accessory set featuring a treasure trove of gifts to help kids dive right into the water for an unforgettable day of swimming! A soft rash guard and mesh-lined board shorts made with premium, lightweight materials provide supreme comfort and style. Boys and girls looking to spend plenty of time underwater will find our Monofin Jr. and Shark Fin, with the added snorkel and goggles made by Bling2o, a necessary part of their discovery session.